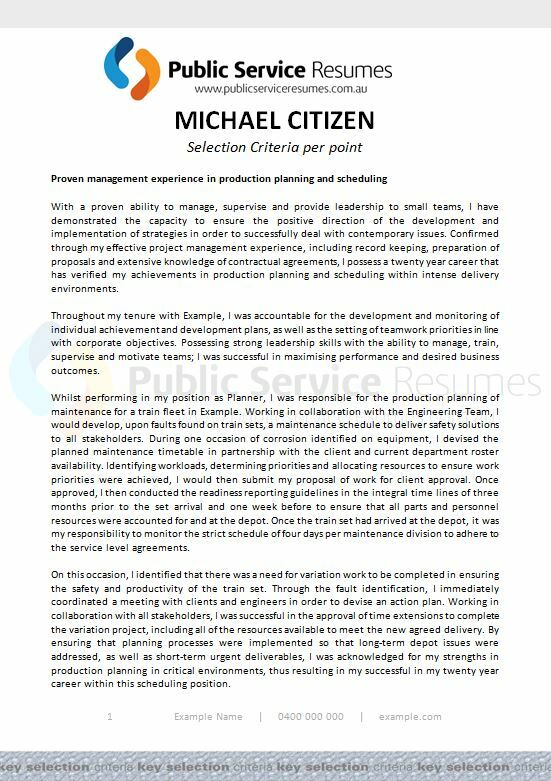 Public Services Resumes Selection Criteria Writers specialise in writing Statement of Claims and Capability Statements for Government applications. The structure, type of examples and language are all factors which need to be considered when completing your Statement Claims for Public Sector roles. 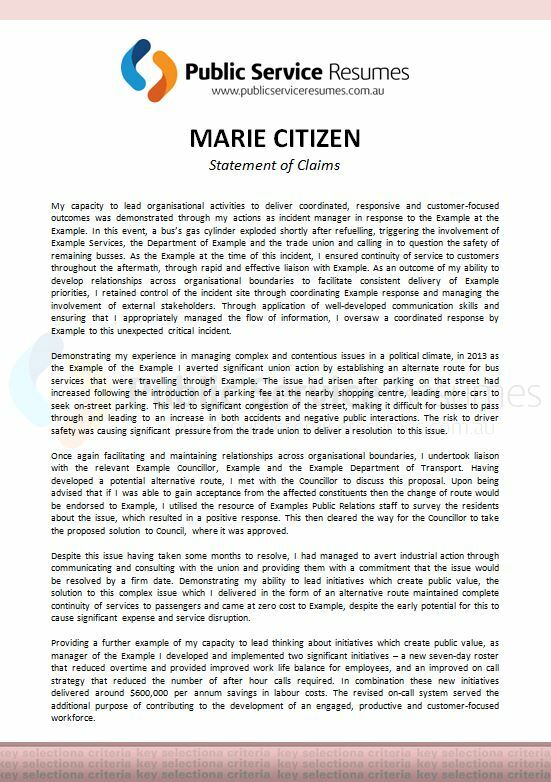 Public Services Resumes have a team of Statement Claims writers who possess a deep and intimate understanding of the underlying factors associated with Government Selection Criteria responses that need to be highlighted and showcased within your Statement of Claims or Capability Statement. 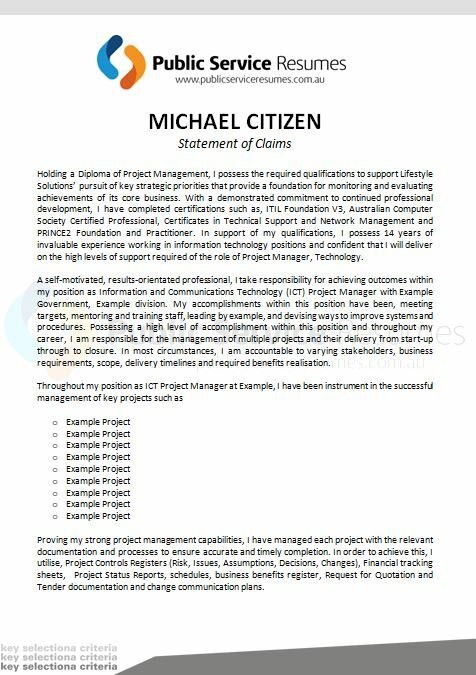 Rather than addressing each Selection Criteria point individually with headings, most times a Statement of Claims gives you the opportunity to provide a more succinct summary to the Selection Criteria questions, capability framework or other application requirements which will detail how you meet the skills and competencies required for the vacancy. Therefore it is not necessary to use headings within most Statement of Claims which can also be referred to as a Covering Letter or Capability Statements. 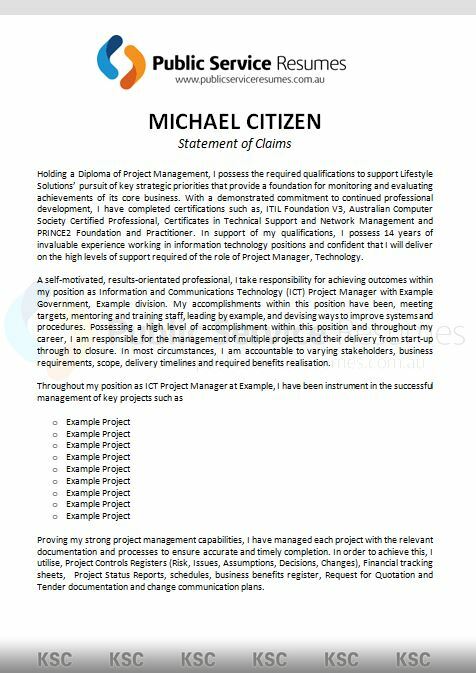 Depending on the role requirements or role level this can range anywhere from one to five pages in content but usually a two or three page Statement of Claims would be required. Within the advertisement, position description, role description or application details you will find the information relating to the page or word limit and your Statement will not be allowed to exceed this limit. Please contact one of our consultants now for obligation free assistance if you are not sure of the page or word limit you are required to adhere to. The consultation with your Public Sector professional writer is scheduled for time that is suitable for you, including outside business hours or weekends, and will take approximately 45 minutes. However there is no set time limit on this consultation and it will take as long as necessary for the writer to gather all the necessary information including past working, study or community roles to address your Statement of Claims accordingly. Public Service Resumes boasts a significantly high success rate for the clients we assist. Our Statement Claims writing service, and all our documents, come with a 45 day review and feedback period and will ensure you are 100% satisfied with your documents.